As the first post of the new year, I thought I’d take us back some 15 years – and even more! 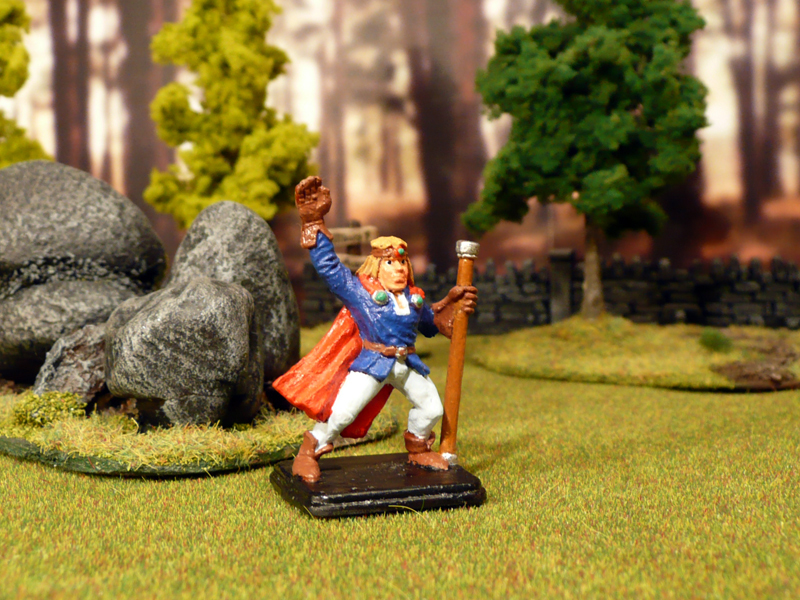 I have always been painting small things, starting out with customizing my Matchbox and Corgis as a wee nipper and moving between plastic models and home cast lead soldiers. Enamels from Humbrol and Revell were the order of the day, and I laid the paint on thick. When I was 10-11 I bought my first role playing game. With it came paper silhouettes and a basic grid floor plan on which to play out battles. 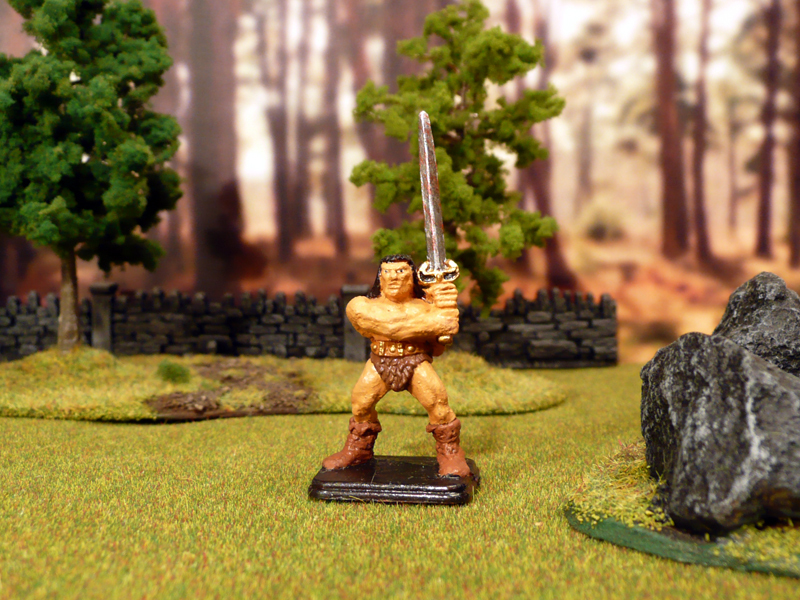 The local toy store had these Prince August moulds to cast orcs, dwarfs and other fantasy creatures. 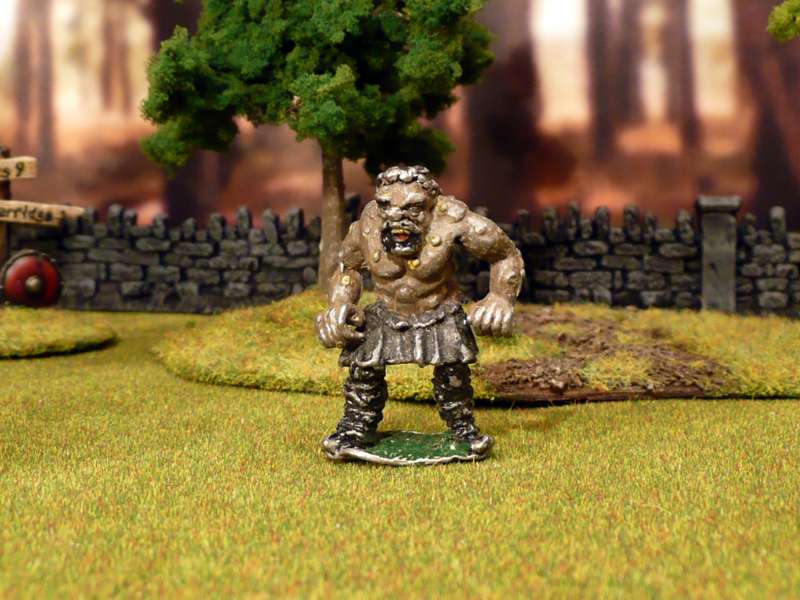 Exit flat caroleans, enter 25mm undead and ogres! 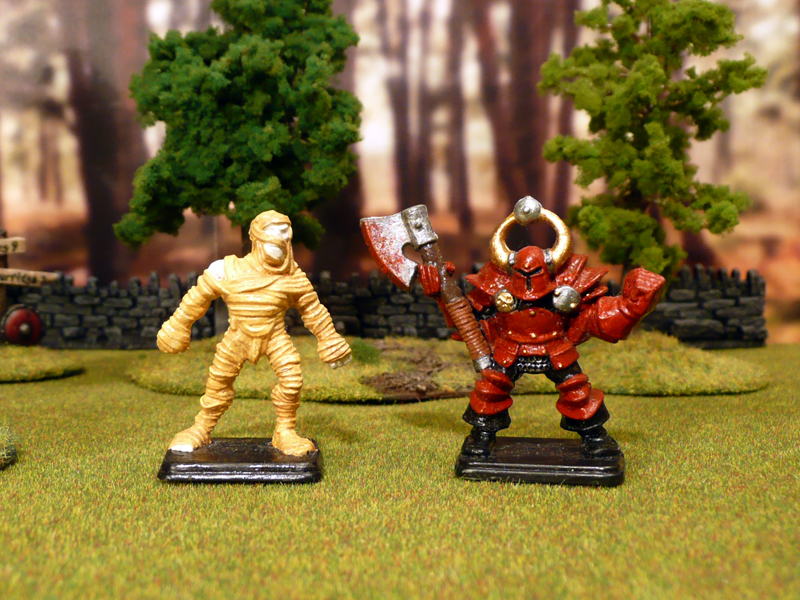 After happily casting (but rarely painting) for a while, I noticed there were ready cast miniatures to buy. We didn’t have them in my town, but I bought some second hand from an add in the local paper. This is most likely the first metal miniature I ever bought! If anyone knows the manufacturer I’d be happy to know. He still wears his original paint job (by the guy I bought it from… yellow blobs on the blemishes were added by me with a toothpick) but will get a stripping, some clean up and a re-paint very soon! Things escalated from here, eventually I found out about acrylic paint and things got a lot easier. Fast forward to the early 90s and I’ve been introduced to Games Workshop stuff through Blood Bowl and Hero Quest. I’ve painted a few Blood Bowl miniatures, and was starting to get the hang of it. After purchasing a Citadel Starter paint set in late 1995, I did my first serious attempt to actually improve my painting. 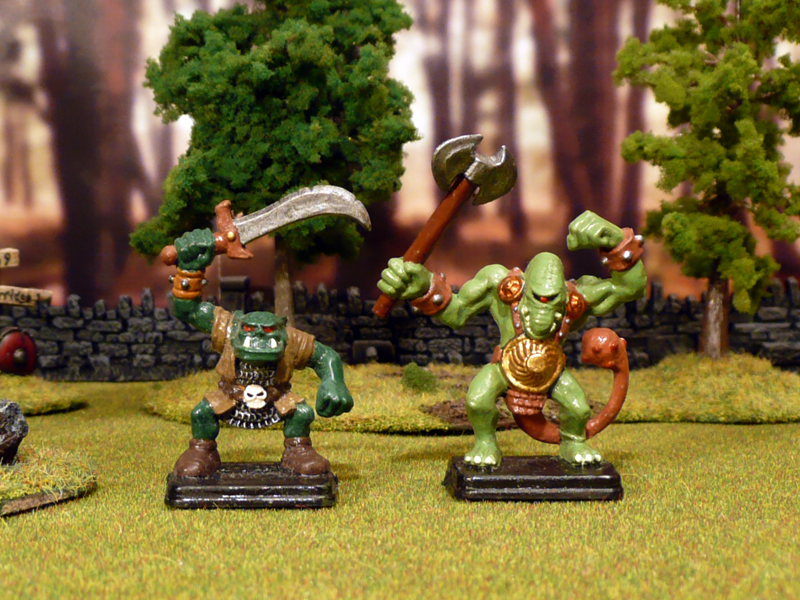 These Hero Quest minis are the first proper 28 mm painting efforts I did. Still had not heard of thinning the paints, undercoating or gotten to grips with shading – but I tried hard to be neat atleast. I’ll be posting more of my old stuff this spring, as I feel I’m not painting enough to keep the blog updated on a regular basis. Hope you enjoy it, I’m having fun digging out old hunks o’ lead (or in this case, plastic). I’ve made a super secret resolution to paint at least one mini per week (on average) which also means I’ll post one freshly painted mini per week. I missed the window on this last week, but I have one mini finished and photographed for posting tomorrow. Can’t flood the blog with two posts the same day!